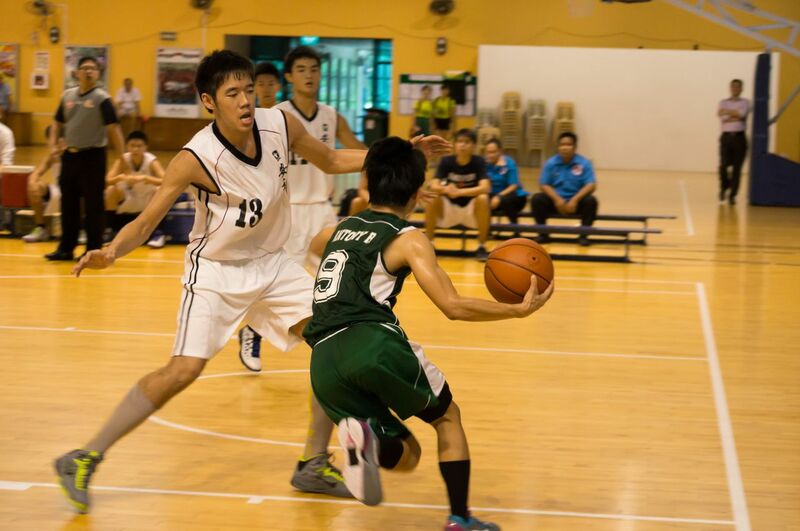 On 20 May 2013, the Raffles Institution basketball team lost a hard fought game to Anderson Junior College (AJC) by a final score of 44-37, eventually finishing overall 4th. While they may not have emerged champions, they certainly did not come out as losers. Our team kept fighting till the end, showcasing admirable perseverance and great sportsmanship. The match started with AJC drawing first blood with a well-taken shot, eliciting an almost instantaneous response from the RI team when Daniel Lee swiftly countered with a skilful shot of his own. It was to be a breathless first quarter, as both teams appeared to be evenly matched. With both RI and AJC intent on preventing their opponents from scoring, the match soon stagnated at 5-5 as uncontested shots were few and far between. However, the deadlock was dramatically broken as AJC scored in the last few seconds of the quarter, giving them a 7-5 lead going into the break. Our opponents started the second quarter strongly by putting together an unanswered 8-point streak, widening the gap to 15-5 within the first three minutes. 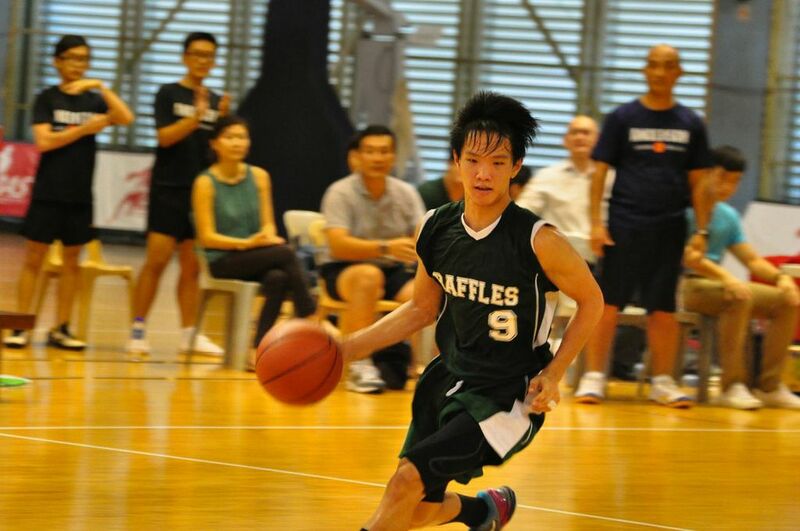 Yao Zhong finally managed to halt the momentum of AJC’s attacks, adding two points for RI with his layup. However, this was merely a blip in an otherwise dominant AJC display, as they strengthened their lead by blowing open a 17 point gap with a score of 24-7 heading into the last minute of the quarter. Nonetheless, our boys persevered and managed to claw back points during the last few moments of the quarter, ending the first half of the game with a score of 24-11 in AJC’s favour. But the team was not disheartened in the slightest. We started the second half with a bang as our basketballers sought to close the 13 point gap. Through a combination of tireless running and intelligent pressing, they forced a number of successive turnovers, showing that our team not going to throw in the towel any time soon. This fiery motivation brought out the best in our players. In a spectacular display of individual prowess, Antony Raharja made two free throws and even sank a shot from outside the 3-point arc. The boys attempted to leverage on this late surge, scoring a total of 10 points but were unfortunately unable to catch up to the AJC team, which stuck to its offensive gameplan. The third quarter closed with 36-21 as the final score. The deficit might have seemed nearly insurmountable, but neither our team nor the supporters gave anything less than our all. 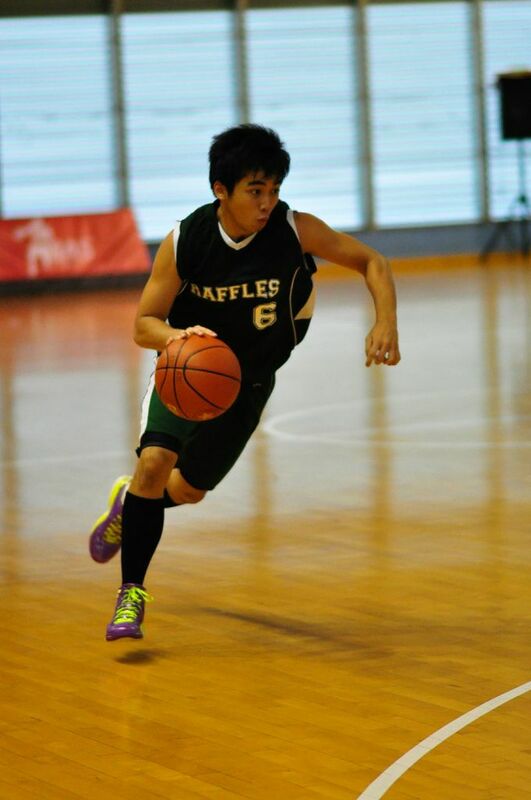 In the 3rd minute of the last quarter, Yao Zhong was the victim of a heavy tackle from an AJ player after contesting for a loose ball. He crumpled to the court and struggled to get up, clearly winded by the sliding challenge. In true Rafflesian spirit, he managed to get back up and fight on, spurring our team onward. In a display of grit, tenacity and ability, the boys succeeded in battling back and quickly narrowed the gap to 7 points. However, the AJC side managed to hold firm, maintaining their slim lead over RI. Undaunted, the team pressed on and again tapered the gap to a razor-thin margin of 5 points. In the end, though, our comeback was not to be. The whistle blew with a final scoreline of 44 – 37. Though we lost the match, both players and supporters left the venue with their heads held high, knowing full well that they had tried their best and given their all for RI. 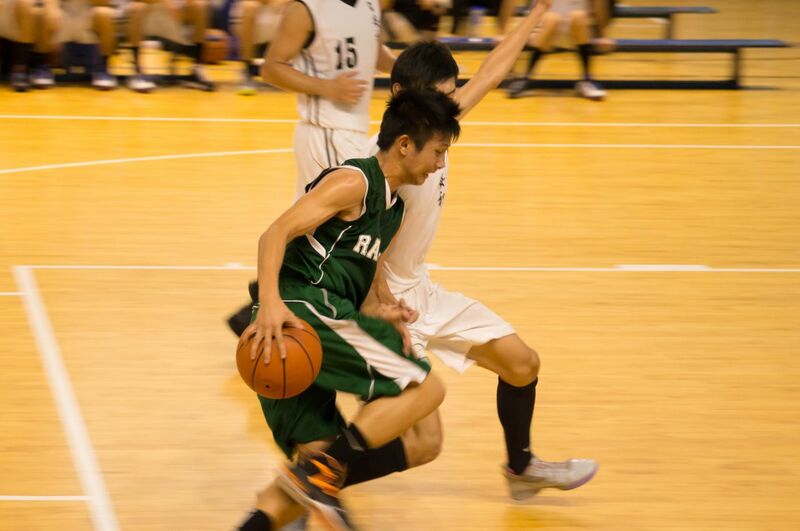 Raffles Press would like to congratulate the guys’ Basketball team for an intense and well-fought match, and would also like to wish them all the best for next year’s season.